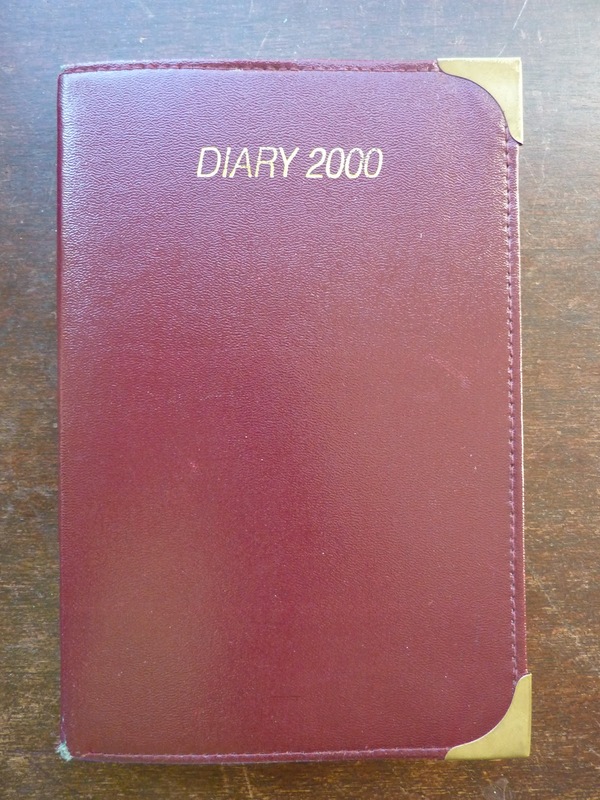 This is the diary I used in the year 2000. On the cover is printed "Diary 2000" so that's what I called it. Because it was the year 2000 it required being announced in a loud, futuristic voice: "DIARYYYYY TWOOOOO THOOOOOUUUSAAAND!" Whenever I misplaced it I would ask my husband, "Have you seen my DIARYYYYYY TWOOOO THOOOOUUUSAAAAND...?" Yes I am a freak. 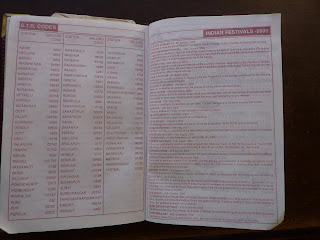 I was a Peace Corps volunteer in Nepal at the time, and despite my lack of language skills even my Nepali colleagues knew about my love for diaries. So, they gave this diary to me as an extremely thoughtful gift, which I really appreciated, maybe even more than they realized. This was the time when I was pining for the Textagenda that my mom and sister had promised to send me but didn't get around to sending until it was almost finished, so in order to use that Textagenda diary I re-dated every single page. 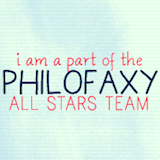 You can read all about that in this post. 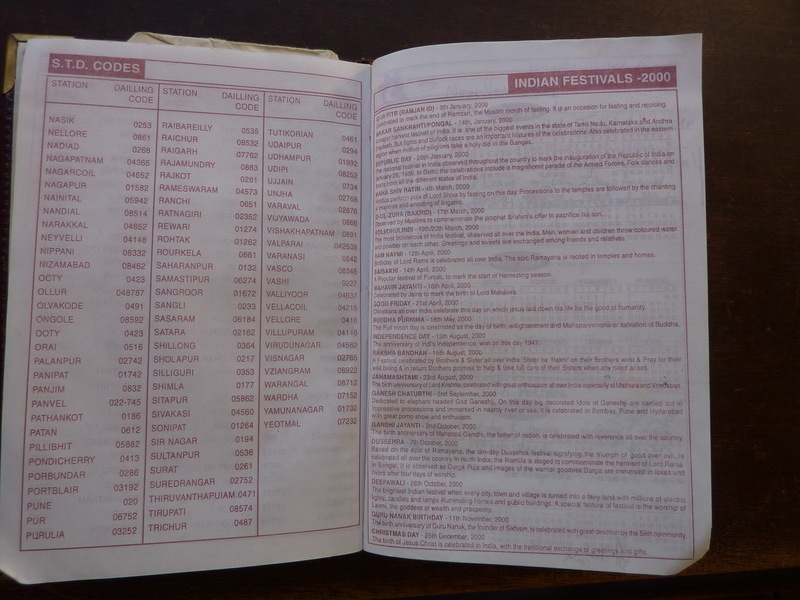 The Diary 2000 is from India (which borders Nepal), and has lots of India-specific information like dialing codes and holidays. I spent New Year 2000 with my husband and many Peace Corps volunteer friends in Pokhara, which was a blast. New Year's Day we had brunch at Mike's Breakfast at the edge of Fewa Lake, and discussed who would be in our shared apartment in Kathmandu, which we would use as a home base whenever we happened to be in the capital for medical reasons, conferences, or whatever. Normally we all lived out in villages that were very difficult to travel to and from, so having a home base in Kathmandu meant we could minimize our backpacks by leaving some clothes and other items in our apartment. And after a long and difficult journey (often two or more days) to get to the capital, we could walk right into our own place and not have to search for a decent hotel or hostel (which were not easy to find, "decent" being the operative word). Anyway, sitting around the breakfast table that morning, we all decided this was a great idea and I wrote the names of all of us who would be going in together on the apartment and sharing the monthly rent. It's a great New Year's memory. That summer my husband and I took a trip to Egypt and Israel and spent five weeks traveling around seeing the historic sites and hanging out on beaches. Particularly memorable was our midnight camel ride to the base of Mt. Sinai, the strenuous climb to the top, and seeing sunrise at the summit. 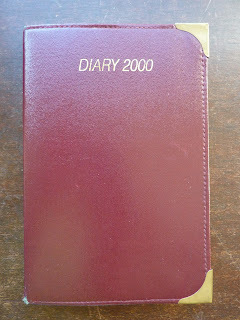 My Diary 2000 came along to record our travel information. That October a group of 18 of us Peace Corps volunteers rode in a Land Rover caravan from Kathmandu over the Himalayan mountains to Lhasa, Tibet. That was a trip of a lifetime. 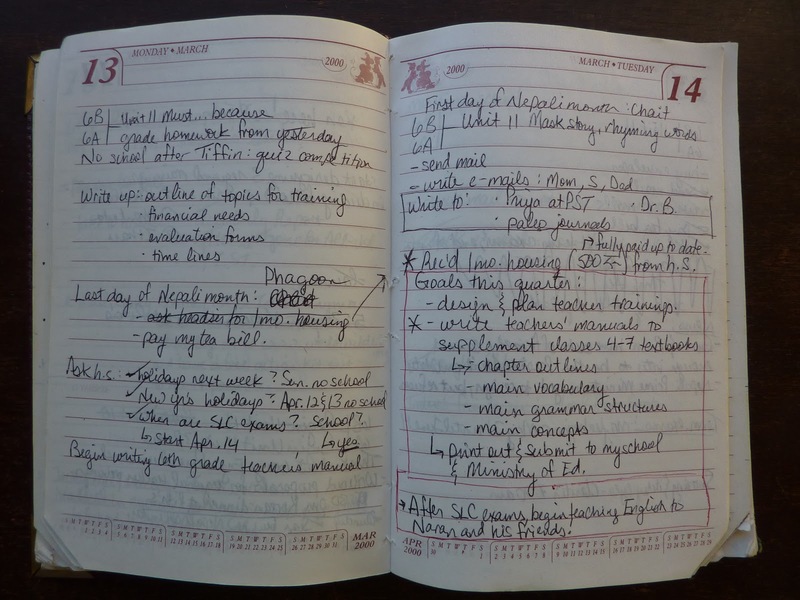 In addition to recording my travels that year, I used my Diary 2000 for lesson planning, keeping records and recording goals. 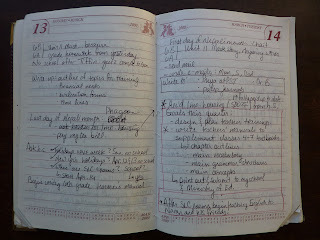 I started using my Textagenda in the fall of 2000 to record teacher trainings we conducted in various locations in Nepal, so I wound up not using my Diary 2000 for all of 2000. 2000 was a very difficult, amazing, life-changing year for me. I treasure this book full of memories from that year. I'm sure you could write an excellent book about your travels and experiences. Finding the time to do it of course is another thing! Thanks you guys! Maybe when I'm retired I'll write my memoirs. It would certainly be an interesting retrospective!! Don't leave it too late Laurie, besides I'm sure you will clock up a few more countries before you retire to a remote part of Scotland!!! What a wonderful story, I really enjoyed reading about it! Thank you for sharing. Gakken Sta:Ful 2011 Rabbit planner back in stock! Looking for a 2011 planner? Guest post: Christine reviews the Ecojot Planner! Weekly and Monthly calendars in same view! !